A nice collection of postcards which give a nice impression of the feel of Hayes during its changes, although I note that the shots are pretty bereft of people. 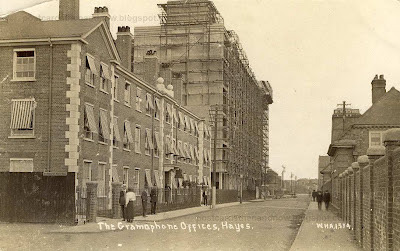 Interesting companies - gramophones and stamps! 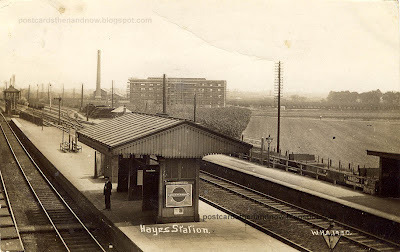 The hayes station certainly went thru some changes. As ususal I prefer the ones that show the people. The travellers and workers bring the shots alive. Very interesting; I enjoyed the pictures and the history. A railroad could make or break a town (if they didn't get one after all). 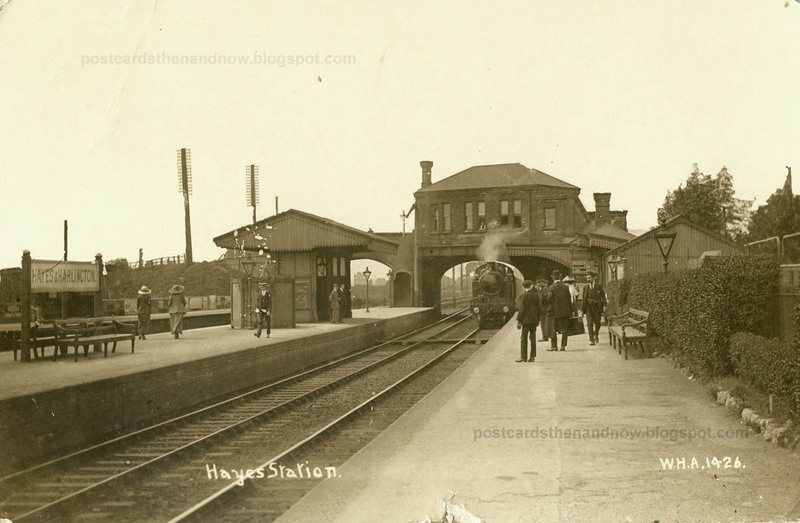 I'm jealous that your postcards give such a clear look at the Hayes station. The railroad was very important to my relatives but I have no good pictures showing the tracks or station. 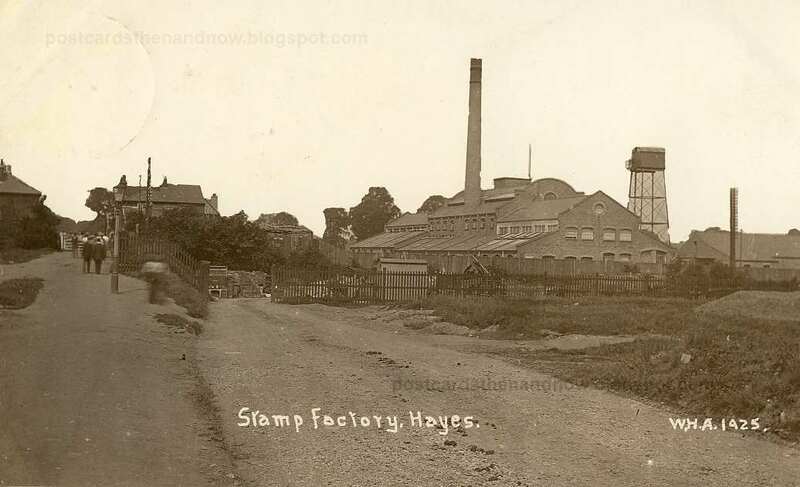 Industrial archaeology via old postcards - perfect. I particularly love the "Gramophone Offices" - a name dripping with history. 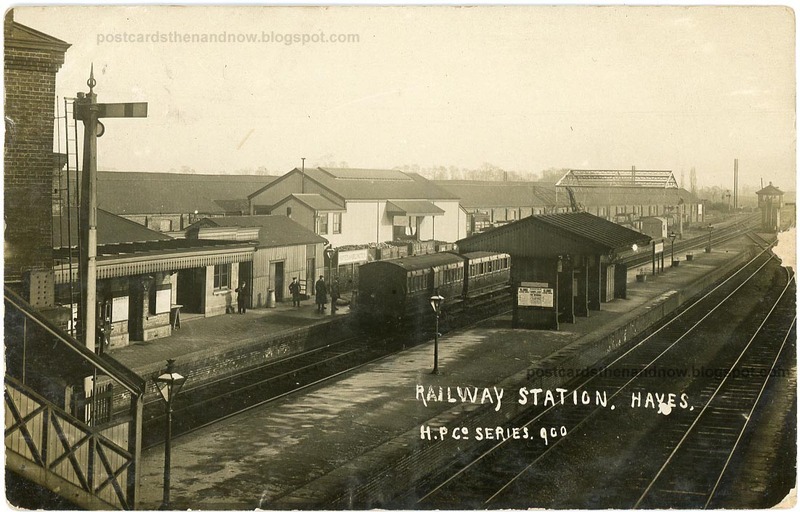 Great set of postcards which tell us a story. Was the stamp factory for postage stamps or a metal stamping plant? I feel like I've stepped back in time to one of those old black and white British films from the '50s to mid '60s. Any minute Albert Finney is going to walk by. I love seeing old railway stations. The factories are interesting as history. 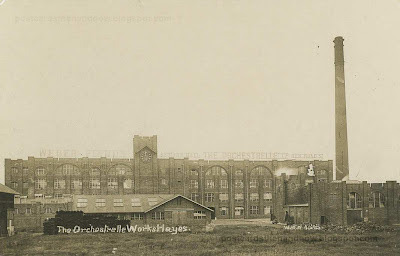 The early factories have so much architectural interest, perhaps because of the practical use of numerous windows. The size and scale also seems larger than expected, but then they made everything in one place. 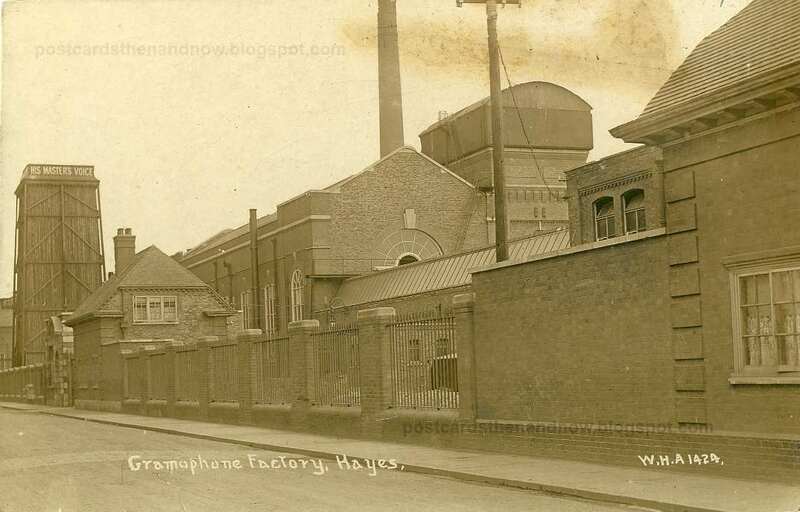 Hayes must have been a very musical place though with the HMV factory and the Orchestrelle works. That last image intrigued me as I remembered the company name from a visit to the Musical Museum at Kew Bridge. They made Pianolas, a very complex player piano. For its time I think it was one of the great wonders of technology. Pianola.org has the same photo and dates it to circa 1911. The date of the Orchestrelle Works postcard is definitely 1912 or 1913. I have a fairly good chronology of W H Applebee around this time and I can date his postcards to at least the right year.